October 10, 2013 By This post may contain affiliate links. 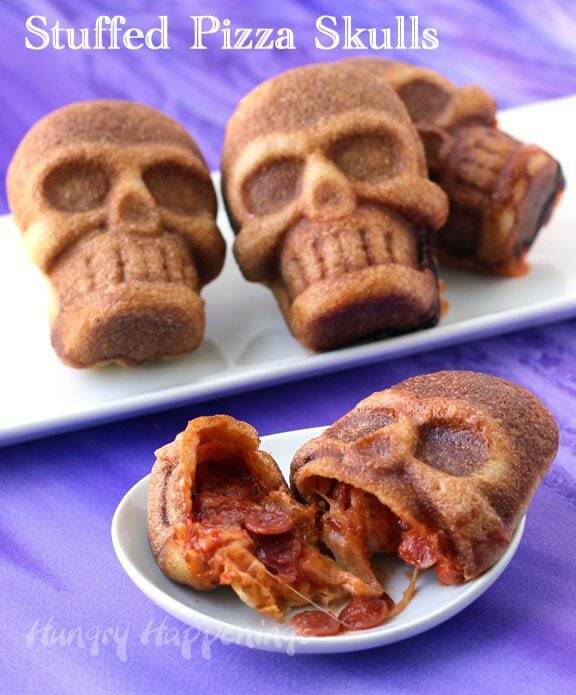 This Halloween freak out your friends and family by serving them some Stuffed Pizza Skulls. 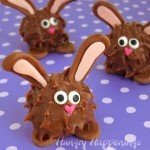 They are really easy to make yet look so amazingly cool that no one will realize they took minutes to make. 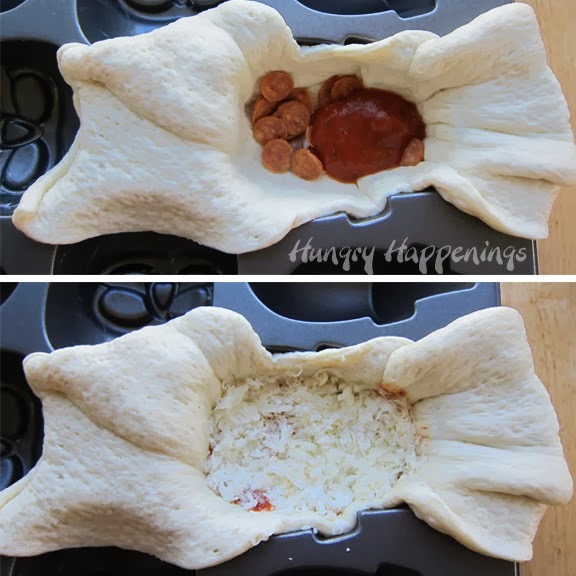 Pizza, stuffed inside a skull is easier to make than you’d ever imagine. I remember about 5 years ago asking a local bakery if they could make some skull shaped bread for our Halloween party. Sadly, they couldn’t so I made them by hand. 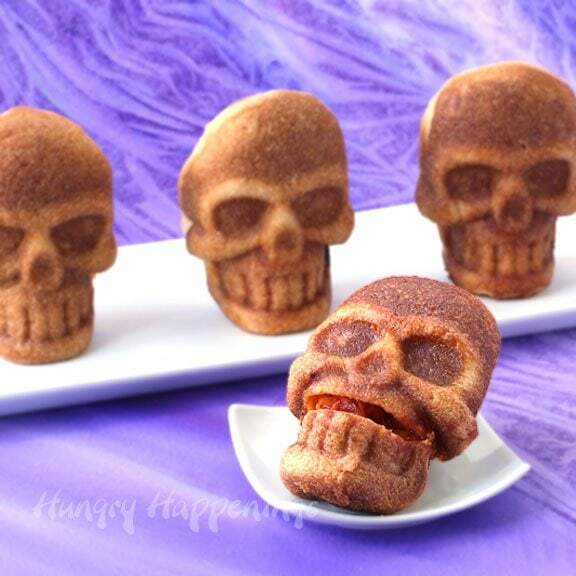 Now, thanks to Wilton’s 3-D Mini Skull Pan (or the new Nordic Ware’s Skull Pan) you and I wont ever need the help of a bakery to make a skull shaped baked good. 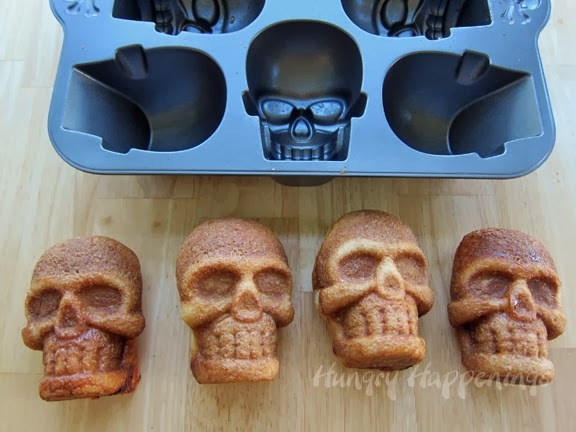 You can make any kind of bread shaped like a human skull using the pan. 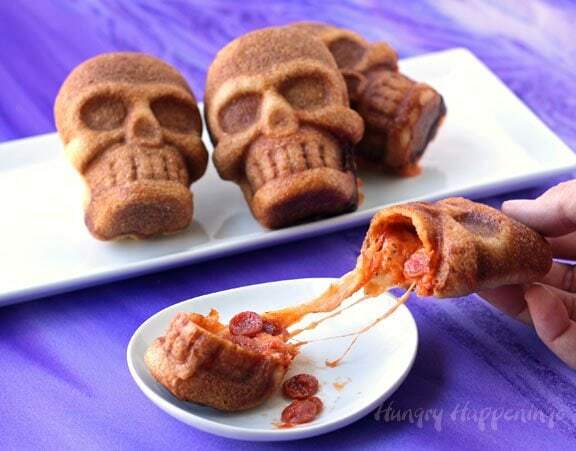 You can even stuff the skulls full of gooey cheese and pizza toppings. 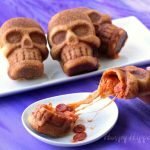 You can keep the Stuffed Pizza Skulls simple filling them with sauce, cheese, and mini pepperoni or you can toss in any of your favorite pizza toppings. These skulls will make a festive meal for Halloween dinner served alongside a nice salad and will be a fantastic addition to a buffet at your Halloween party. For your party, you can make and bake these ahead of time, refrigerate them for up to two days or freeze for about a month, then reheat before serving. My husband wasn’t home when I made these yesterday afternoon, so I had to pop two of them in the toaster oven for him for dinner last night. He said they tasted just like they came out of the oven. 3-D skull shaped pizzas can be filled with your favorite pizza toppings and make a great appetizer or dinner for Halloween. NOTE: If making 4 skulls use the lesser amounts. If making 6 skulls use the higher amounts. 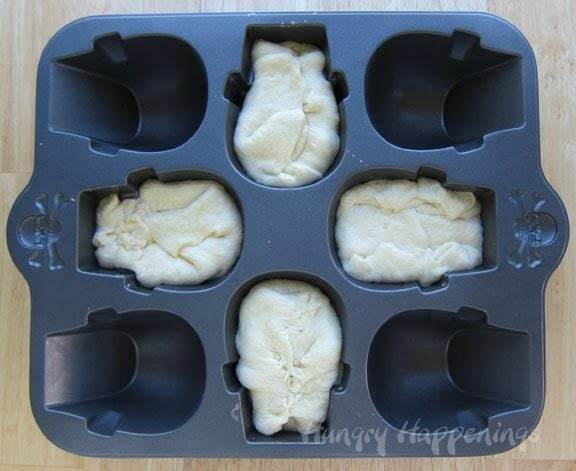 Cut each dough sheet in half. Drape dough into skull cavity in pan. Fill with 1 1/2 tablespoons of sauce, pizza toppings, and 1/4 cup of shredded mozzarella cheese. Cut off the excess dough, pinch together the seams. 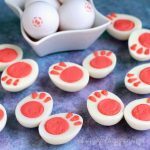 Brush egg wash over top of dough. Repeat creating 4 skulls if using the Wilton skull pan and 6 skulls if using the Nordic Ware skull pan. Bake for 18-20 minutes until the crust looks cooked through and golden brown. Remove skulls from pan and serve. Keep scrolling to see the step-by-step tutorial and a video. You’ll have scraps of pizza dough that you can use to create mini pizzas, so you’ll use more sauce, cheese and toppings for this. UPDATE: Due to the popularity of the Stuffed Pizza Skull video, the Wilton Pans have sold out on Amazon.com. Good News: there is a Nordic Ware Pan that is available and it will allow you to make 6 pizza skulls at one time. To do so you will need to use 3 sheets of pizza dough and more sauce and ingredients. I’ve adjusted the recipe so you can make 6 skulls. 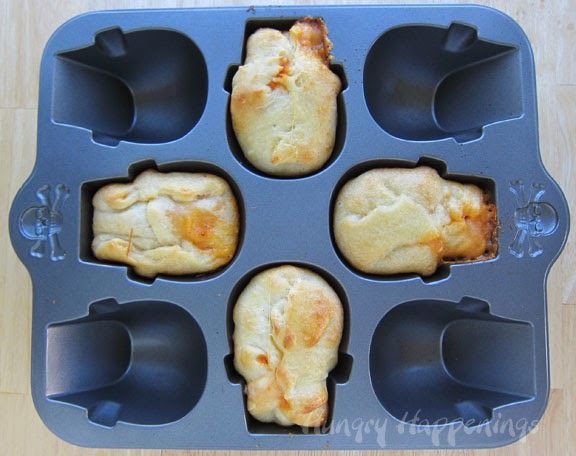 Butter the inside of the 4 faces in your Wilton 3-D Mini Skull Pan. 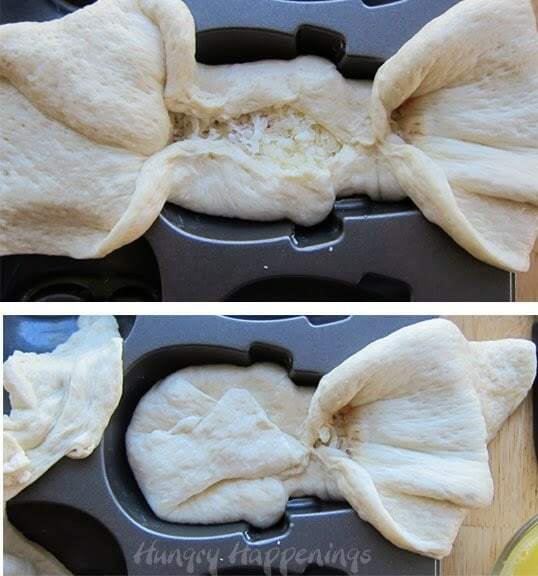 Cut pieces of pizza dough (I cut my Pillsbury dough in half) and snuggle them down into the cavities in the pan, being sure you have enough dough to come up over the top all around the opening. NOTE: If using a 6 skull cavity pan you will need to use 3 rolls of pizza dough and more ingredients. Fill with your pizza toppings, 1 1/2 tablespoons of sauce, and 1/4 cup of shredded mozzarella cheese. You then will need to cut off the excess dough, pinch together the seams using egg wash as glue to hold the seams together. Remove any excess dough. You can use the scraps of dough to make some small pizzas for a snack. I didn’t try pressing the scraps together to make more skulls. It might work, but I have a feeling the sauce will seep out between the cracks. Of course, that could look kind of creepy and cool. Brush egg wash over the backside of your skulls to make sure the seems are really well glued together. Meanwhile, pre-heat your oven to 375 degrees Fahrenheit. Just a note, the faces of your skulls have been in contact with the pan and will be much more brown, so do not over bake them. Carefully turn the mold over allowing the skulls to fall out onto your counter. 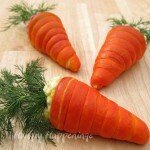 Serve immediately, or refrigerate for up to two days or freeze for up to a month. Reheat before serving. I heated two refrigerated skulls in my toaster oven at 350 degrees Fahrenheit for 10 minutes, which seemed perfect. I’d suggest thawing the skulls in the refrigerator overnight, then heating per above. What else can I bake in my Skull Pan? 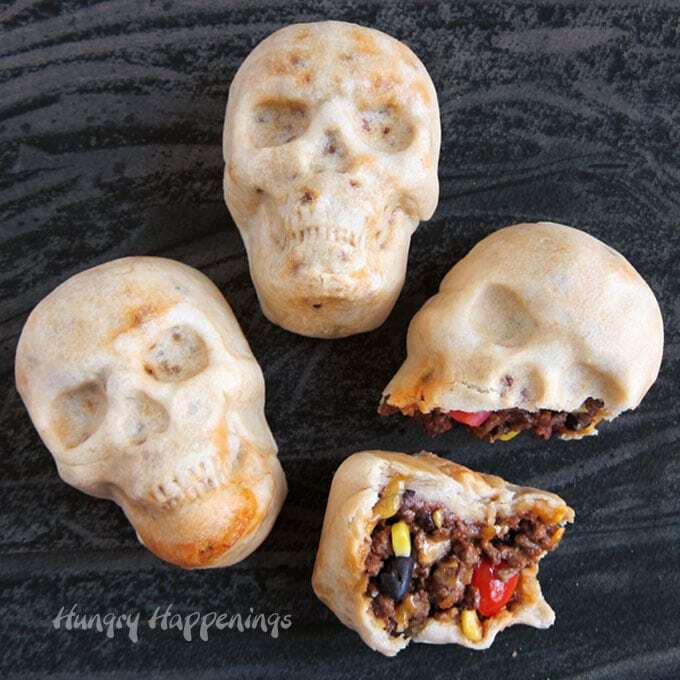 Each of these skulls is made using homemade tortillas and is filled with taco meat, black beans, corn, tomatoes, and cheese. 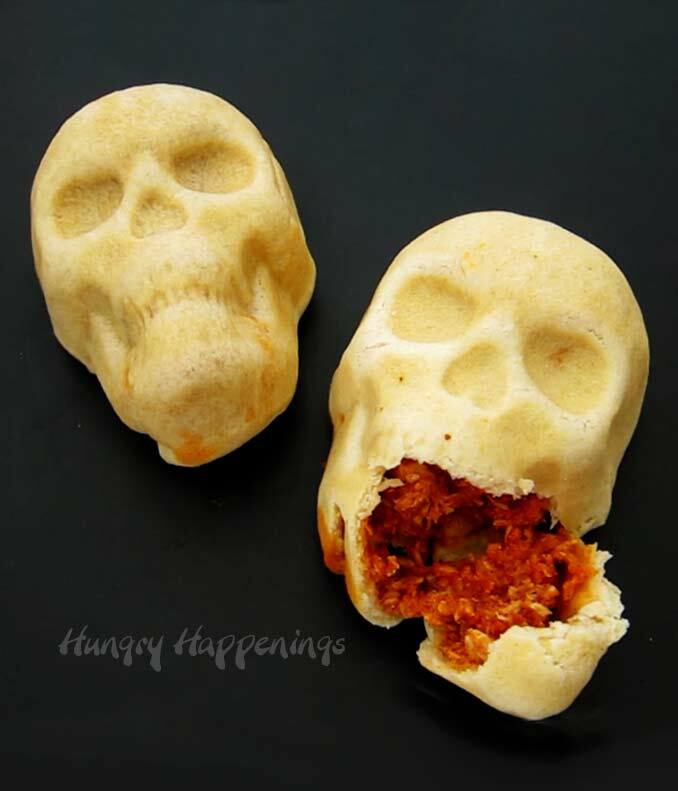 These skulls are also made using homemade tortillas but they are filled with chicken, cheese, and enchilada sauce. 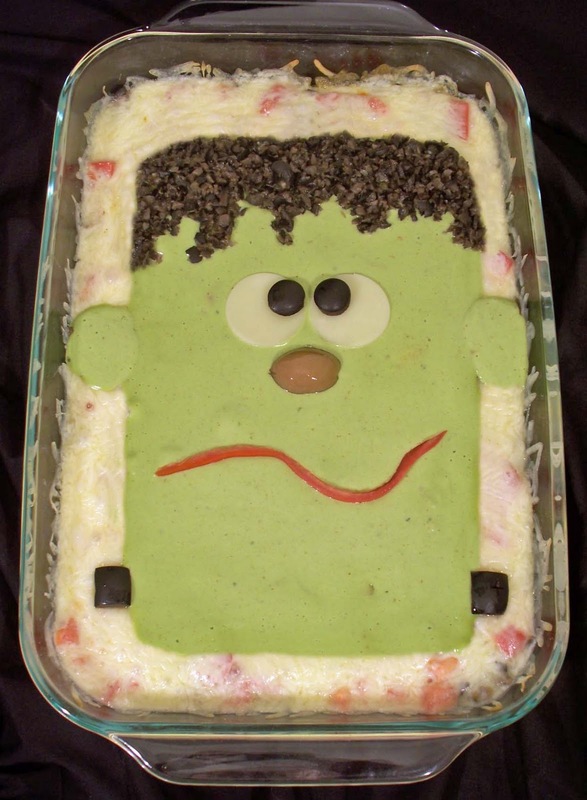 I really like this STUFFED PIZZA SKULLS but would LOVE it if it was STUFFED FRANKENSTEIN PIZZA. Do they make Franky molds? I have not ever seen a Frankenstein pan but that would be cool. 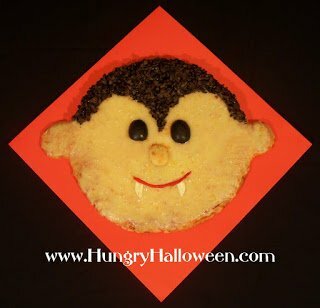 We do a block party for Halloween, and I always do big treat baskets filled with various spooky and creepy yummies. I get a lot of my ideas from your site (thanks!! =) and this pizza skull is a must do!! FAB! Sounds like a lot of fun. I think it's great when a neighborhood gets together on Beggars' Night. It makes it festive and safe for the kids. this is so amazingly clever! 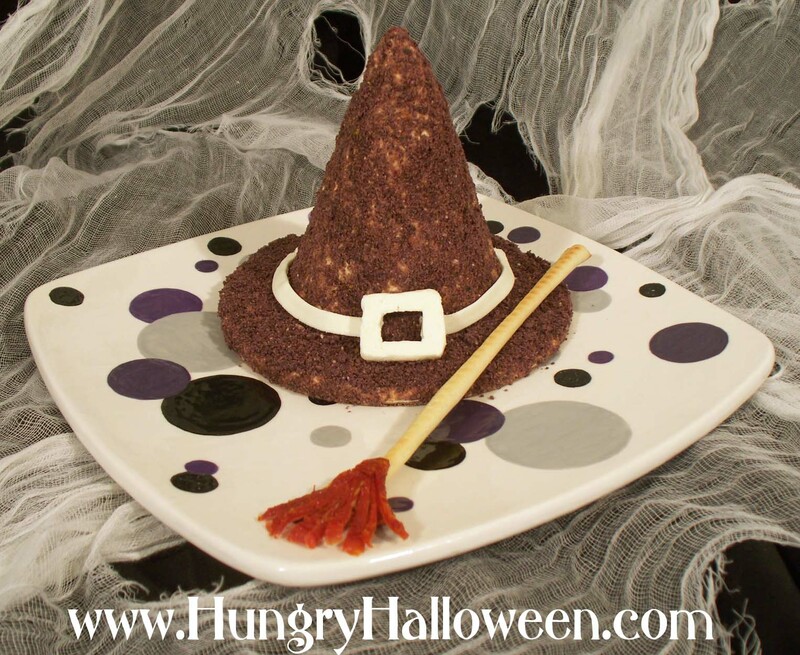 I loooove halloween baking products!! Not able to host one this year, but will be attending and bringing treats to contribute! I won't be hosting one this year, but I will be attending and bringing treats to contribute! 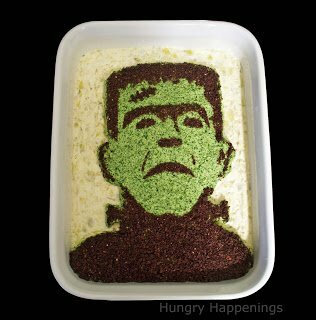 I am not planning a party this year but I am planning on making some spooky treats. Ok, these are seriously cool. We always have a Halloween party. Last year's theme was zombies, haven't decided on a specific theme for this year. I have silicone candy molds in the shapes of pumpkins, skulls and bones. This pan would be awesome to add to the collection. Our zombie party last year was so much fun. It's a great theme for an event. 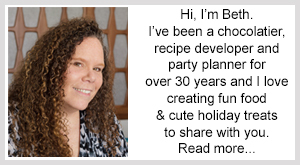 I hope your plans are coming together for your party this year and that you all have a great time. OMG! This is the most incredible idea! I don't have a skull pan but I do have a couple of other pans of this type. I'm so going to have to give this a try. Thank you for sharing this.! Now I have to go and get a skull pan. LOLOLOL AWESOME! Thanks! I was really happy with how much detail showed up in the pizzas. 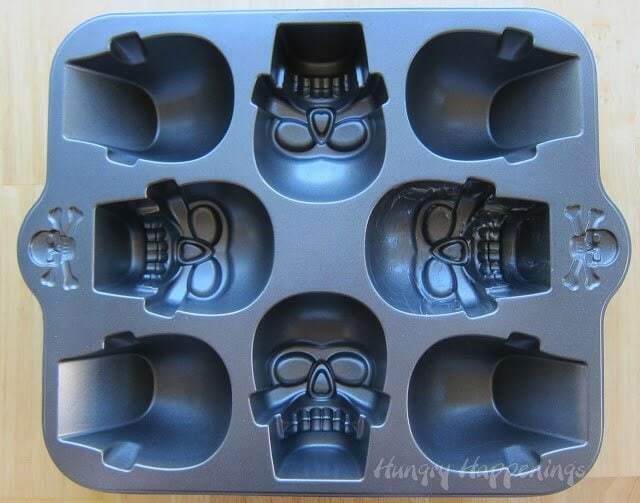 They would be great for any holiday baked in any pan like this, but there is just something about the skulls that I really love. I just found your site a week or so ago and I have to say I am blown away by all your ideas! LOVING IT! 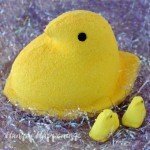 I just found your site a week or so ago and I have to say I am blown away by all your ideas! LOVING IT!! We usually have a Halloween party every year with about 30 of us trick or treating together as well! 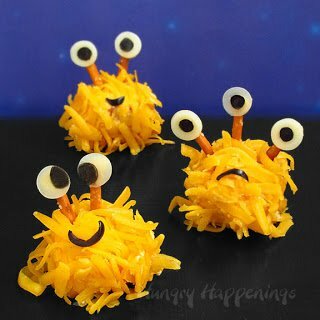 I love Halloween and am looking forward to attempting some of your creations! 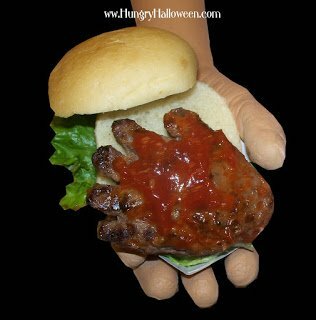 Hi Many, I'm so glad you found Hungry Happenings just in time for Halloween. What fun to have such a huge group go Trick or Treating together. I would have loved that as a kid. I hope you have a wonderful time at your party. 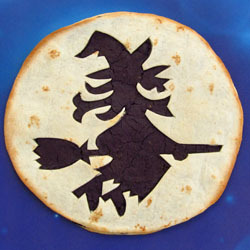 No Halloween party this year, but we love to have Halloween-y food for dinner any time in October! 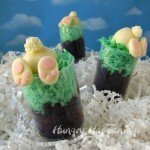 "Mummy Dogs" are my kids' favorite! We are having a Halloween party! I'm so excited! 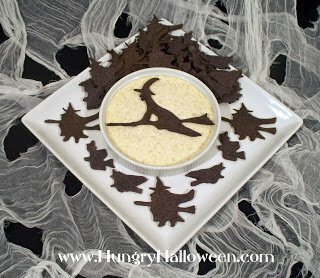 We are doing a pumpkin theme for the food and decor- I don't like scary! We were supposed to do a pumpkin carving party this year, but our school system's fall break got in the way. Hope to do it next year. 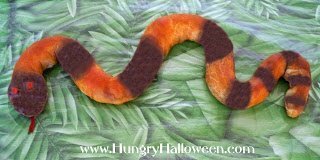 Have a wonderful pumpkin themed party. Definitely having a Halloween party this year but there's no real theme. I would LOVE to win all this cool Halloween stuff. 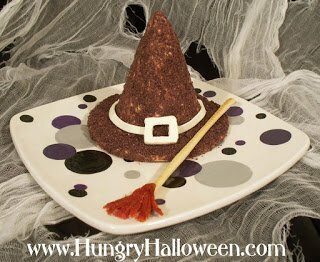 I hope your Halloween party is a huge success and they you have fun! 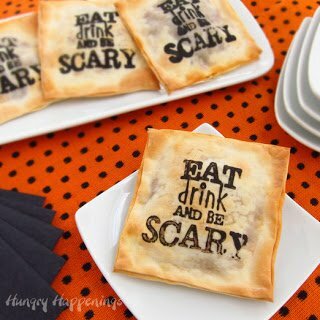 Not hosting this year, but these skull pizza pockets would be awesome for a little pre trick or treat dinner for the kids. I totally agree. I think kids would love to have these for dinner before heading out to Trick or Treat. 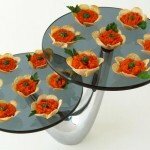 Thanks for following Hungry Happenings! I hope you have a Happy Halloween. No seriously! How do you come up with this stuff?! I wish I had your talent!